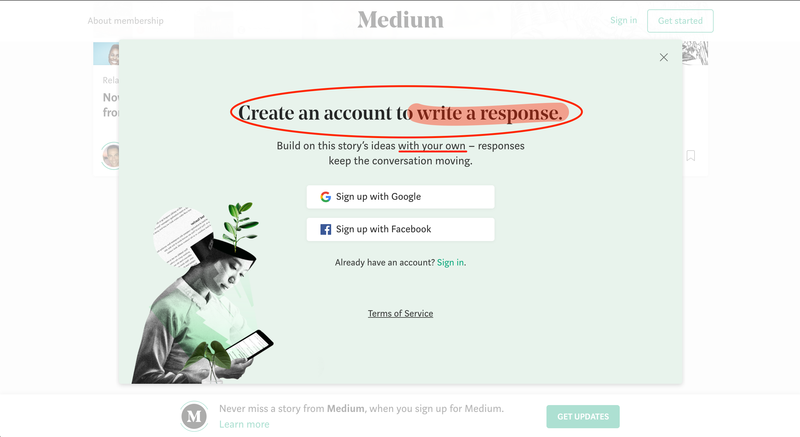 Medium is an online publishing platform where users can easily read and publish blog posts for free. 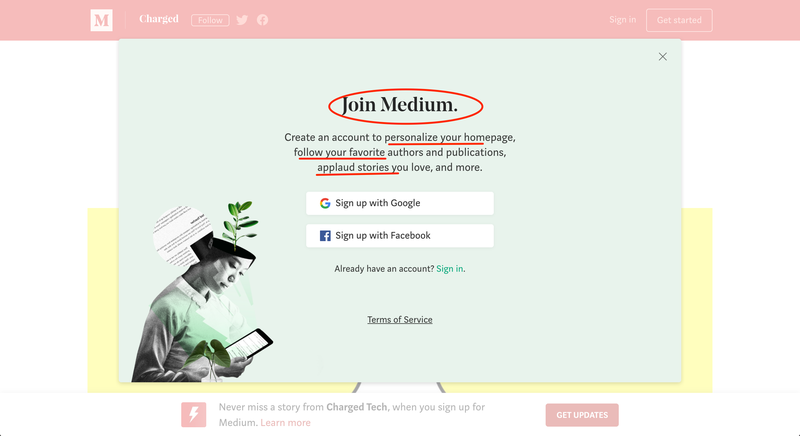 Medium lets users read as much as they want to for free, prompting users to create an account when they try to take one of the many membership-based actions available on each screen. 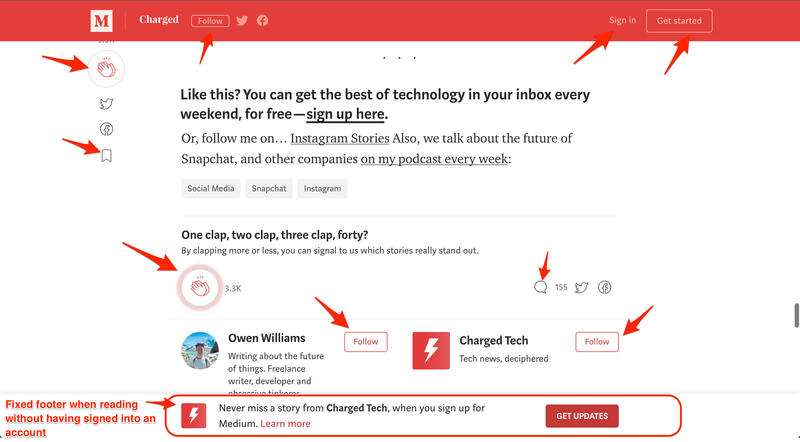 The 10 arrows in the first screenshot show the 10 opportunities available for getting a new reader to sign up for a Medium account. Clicking on anything from “Clap” to “Get started” funnels visitors to sign up for an account for a more personalized experience. Instead of pommeling new users with signup requests at every corner, Medium bakes these opportunities into its usual UX. Readers are only promoted to sign up when they attempt to take a subscriber action on the platform, such as following a publication or applauding an article. The copy of the signup modal changes based on the action a new user tried to take: following another user, applauding or bookmarking an article, writing a response, or clicking the Get Started button. This contextualization helps make the signup prompt feel more natural and personalized and helps users understand the benefits of signing up based on a specific action they want to take.